In the blink of an eye, 2018 is coming to an end and we are fast approaching the new year. For many of us, this is the period to go on holiday trips with family and friends for a respite from our fast-paced life and a #treatyoself getaway. Unfortunately, getting a plane ticket to travel out of Singapore or even going on a road trip to neighbouring Malaysia may be a tad too much for our wallets to take. A popular tourist destination, our little red dot has no lack of boutique hotels ranging from the budget kinds to extravagant. If you’re strapped for cash but looking for some good r&r, staycations are your next best thing. 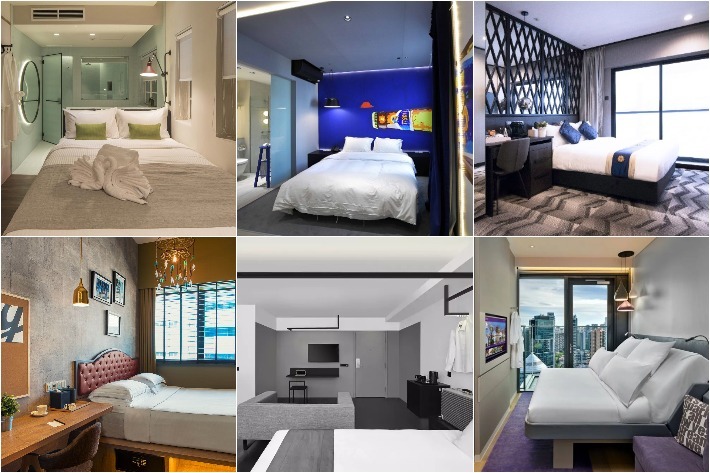 Here are 10 affordable hotels in Singapore with prices starting from as low S$133 per night for you to plan the ideal relaxing (and romantic) getaway. In light of our hectic, mundane 9-to-5 work lives, often we find ourselves yearning to jet off for a vacation. A beach holiday in Bali perhaps, or even a romantic European tour with our other half. Sadly, there are times when a proper holiday just isn’t possible either due to overly exorbitant airfares or the sheer amount of work we have on our hands. 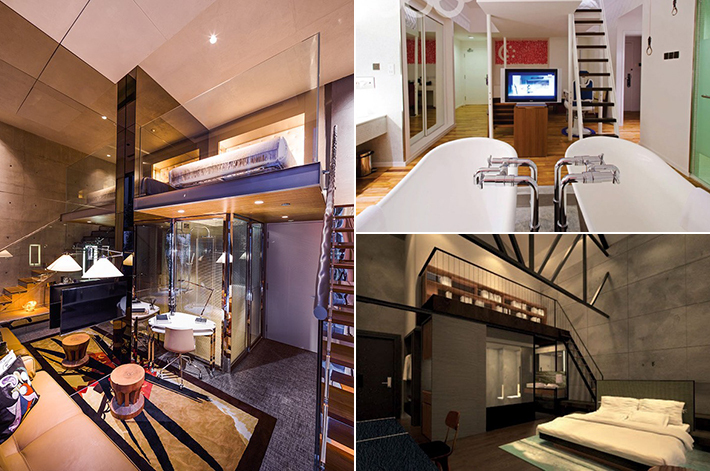 The next great thing, although it might sound like a bummer, is having a staycation in Singapore itself, and one that promises both comfort and exceptional service is the Oasia group of hotels and serviced residences. Every Oasia property provides a restorative respite from your day-to-day responsibilities without taking you too far away from everything the beautiful lion city has to offer. Read on to discover your next holiday within Singapore. Family vacations are important because you get to enjoy time together and forge precious memories. For those who are unable to travel abroad, having a family staycation is a great and easy way for parents to recharge, relax and spend quality time with the kids. And if you are having trouble finding the perfect staycation, here are 8 Family-Friendly Staycation Venues In Singapore With The Best Offers. These hotels are offering packages tailored for families with children and as an HSBC Credit Cardholder, you get to enjoy extra perks such as complimentary breakfast for up to 2 adults and 2 children (up to 15 years old), an extra bed (very useful if you have an older child), complimentary room upgrades and more. Indulgence Plus is a year-long lifestyle membership programme by the Park Hotel Group, perfect for those who love to dine, wine and unwind. With an Indulgence Plus membership, you can unlock a plethora of amazing hotel accommodation and dining privileges across its portfolio of hotels and dining outlets – which includes a free staycation at a Park Hotel of your choice. P.S. A complimentary staycation is merely one of the numerous benefits you are entitled to. Out of all the various membership programmes out there, what makes the Indulgence Plus membership so special? Valentine’s Day may be just another day to you but your partner may not think so. Surprise your partner with a little something this February 14! Both Park Hotel Alexandra and Grand Park Orchard have staycation deals and romantic dinner offers that you can surprise your loved ones with. So, Valentine’s Day 2017 need not be a lavish affair if you know where to pick up the right deal. You are welcome. December is a time when we are truly feeling the festive cheer and the desire to travel. While a long haul trip sounds fine, many of us might be unable to take a long period of annual leave or have other commitments. The good news is you can always go for a trip to Asian countries or have a staycation right here in Singapore instead. And why not start planning for the upcoming long weekends or March school holidays next year? If you are looking for comfortable accommodation for an enjoyable time with your loved ones, Park Hotel Group’s cluster of splendid hotels offer the best hotel room rates along with complimentary breakfast and complimentary wifi. The best part? Book directly with Park Hotel Group and receive up to 30% off if you stay at any of their 9 hotels located in Singapore, Bali, Hong Kong, China and Japan! Booking period is from now until 31 January 2017 and the stay period is valid from now until 31 March 2017. Thank God we still have half of the June holidays! While most people are preoccupied with their current and upcoming overseas travel plans, there are some who might be stuck in town – lack of annual leave, not enough days for a trip etc. And that’s completely alright, because Singapore itself has heaps of exciting events going on. A staycation is one of them! Have you stayed with Park Hotel Group in Singapore? Grand Park Orchard, Park Hotel Alexandra and Park Hotel Clarke Quay are offering seven amazing benefits when you book directly via Park Hotel Group’s official website. From complimentary wifi, free room upgrades to best rates guarantee, there are so many benefits to reap when you book a relaxing staycation this June from Park Hotel Group’s website.